A day dedicated to seeking inspiration through projects utilizing Papertrey Ink products.This event allows all of our customers who enjoy sharing inspiration & artwork with their peers do so through their personal blogs. Today, 10am ET until 11:30pm ET. 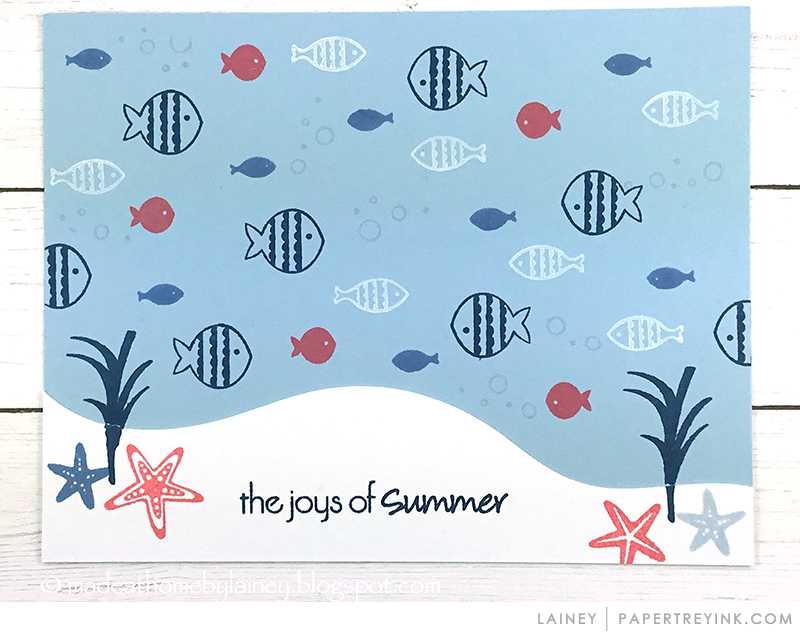 We have been so inspired by the ocean themed products that Papertrey Ink has been releasing and what a perfect theme for this summer blog hop. Pull out all of your fun ocean themed products! Or maybe you might find inspiration in the color theme or even the polka dot patterns that stand out on this inspiration piece. What are you inspired to create? Participating bloggers can add their link to the appropriate list here anytime between 10am ET and 11:30pm ET on July 25th within the InLinkz list below. The title of your post should be “Papertrey Ink June Blog Hop Challenge”. 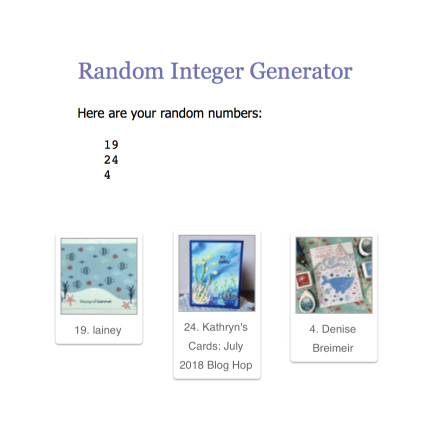 The three random blogger participant winners will be announced on morning of July 26th on our forum and highlighted here on the Papertrey Ink blog! 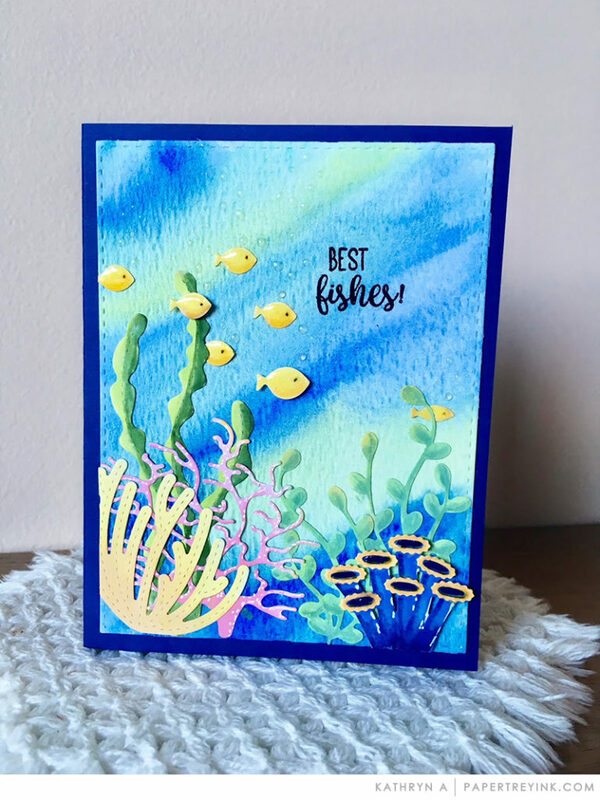 Lainey created this cute scene of fish on her card and we loved how she described the inspiration piece as a “fish traffic jam”. Keep Swimming was a great set to use with all of the little fish images from that set! Kathryn used her new ocean products from the June release to create this gorgeous ocean scene. the inked background is just perfect for an underwater look and all of the layering adds wonderful dimension! 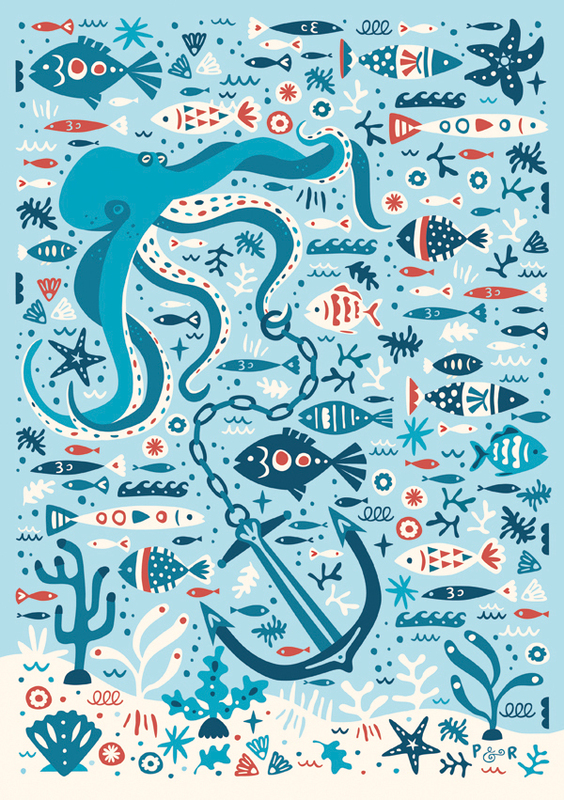 Denise created this fun and whimsical ocean scene using colors that are in the inspiration piece. We love the whale popped up just a bit in the middle and how fun to add the waves and boat at the top of the design. A really fun inspiration for this month’s blog hop! 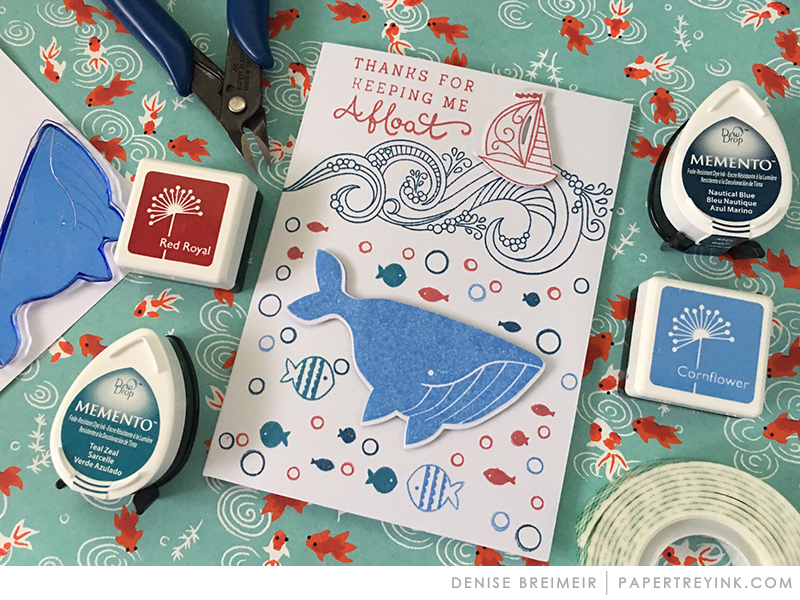 I thoroughly enjoyed using it for my card, even though I didn’t use the nautical theme. Bet there’ll be a wide variety of entries–off to check them out! So many beautiful and creative cards! Fantastic! I don’t understand the directions for how to participate as a non-participant….I have no idea where the forum is, how to get there, what to do…..I might be the only one who is clueless, I guess.